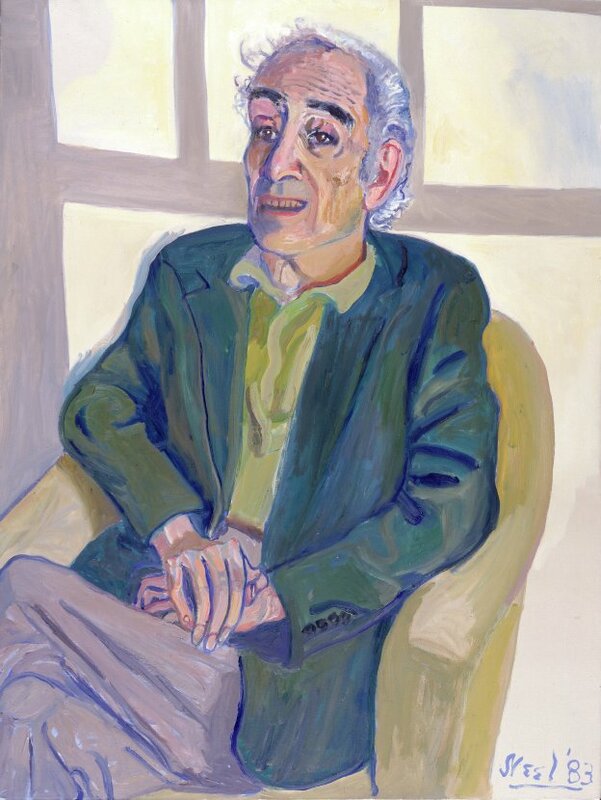 The leading mid-20th century art critic Meyer Schapiro (1904-1996) was a funnel for the European ideas that rapidly modernized the American art scene between the wars. He was a superb commentator on van Gogh and Cézanne, and it was his essay on New York’s 1913 Armory Show that captured the huge drive of the New World to grasp the nature of cultural individualism. 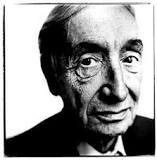 Superbly he translated his enthusiasm for individualism into a humanist critique of Modernist art. His career peaked in1967 when he delivered the Charles Eliot Norton lectures at Harvard on his original specialization, Romanesque architectural sculpture. But it was then that Meyer Schapiro also blundered massively by wading into a exchange with the German philosopher Heidegger. A terse exchange of letters in 1966, followed by a damning paper in 1968 on Heidegger’s reading of van Gogh’s ‘Boots with Laces’, left a blot on his record that, try as he might even at the very end of his life, thirty years later, he couldn’t rectify. I tell this story in my latest book, Van Gogh, The Philosophers and the West (Harbour Books, 2014). But where in the book much of the narrative is given over to the painter, and the major philosophers, Heidegger and Derrida, who contended over the meaning of ‘The Shoes’, here I want to dwell on the art views and the politics of Schapiro himself. Schapiro, multi-talented, multi-lingual, was the son of Jewish immigrants from Lithuania. He grew up in Brooklyn and made his academic career at Columbia, New York, after encountering some anti-semitism, at least as he saw it, from Princeton. The political left was his natural home, and he was a founding contributor to the Marxist-leaning Partisan Review. But just as naturally he was a political moderate, who soon regretted his radicalism. After voting Communist in the 1932 Presidential election Schapiro faced crunch years in 1936 and 1938, against the background of the Moscow Show Trials and the last ideological battles between Stalin and the exiled Trotsky over Communism. The paper he gave to the 1936 First American Artists’ Congress, which still supported Stalinism, almost immediately embarrassed him, and he suppressed it later. Evidently he was torn between his belief in the moral power of high art, and the ideological need to support a non-elitist approach and become an advocate for the proletariat. When he insisted that his energies were best directed into scholarship, not international politics, two major events helped him along that path. Leftwing America’s fascination with Trotsky, before his assassination in 1939, and the Second World War, which the US entered in 1941, were milestones. The Trotsky scenario in Mexico is well-known.Trotsky. his wife and bodyguards were living a rural idyll in a compound in Coyoacan, outside Mexico City, except for constant worries over his safety. The US government sent a Committee of Inquiry, headed by ageing philosopher John Dewey, to determine whether Trotsky really was guilty of the criminal revisionism Stalin was accusing him of, endangering the continuity of the Soviet revolution. Trotsky, a hard-headed ideologue with several murders on his hands, but equally a charming man, terrific intellectual and elegant writer, was both exonerated by Dewey and found to be a dangerous influence in world politics, one that should not be followed by the United States. It was against this background that Schapiro organised an event in New York to get things clear in his own mind. What was this ‘dialectical materialism’ on which the cogency of Communist argument depended? How could hard-line Marxist philosophers, including Trotsky, claim they had History, as the power of economic change, on their side, to re-order the world in favour of the proletariat? If anyone else can dig up a second or third account of the debate Schapiro arranged in 1938 I’d be fascinated to hear. This is based on his own. Jan van Heijenoort, one of Trotsky’s last secretaries, a Greek poet and one other spoke in defence of diamat (as Russian abbreviated it), while the Schapiro side included British philosopher A.J.Ayer and American philosopher Ernest Nagel. In Schapiro’s account the sceptics won hands-down. The Trotskyites talked gibberish and the logical minds functioned superbly. Ayer, on a book tour for his career-defining tome Language, Truth and Logic, found metaphysics to be a configuration of nonsense words not referring to anything true, and it must have seemed to him equally that diamat was the same kind of hollow term, this time hijacked by politics. The war then confirmed for Schapiro that America should be a liberal democracy with freedom as its supreme value (freedom being of course a term never used by the Communists). Schapiro remained left-leaning in his heart, but by 1945 he was far removed from the leftishness of European revolutions and barricades. Together with the literary critic Lionel Trilling he rejoiced in the election of John F. Kennedy. Yet as the 1960s gathered pace, and the Holocaust began to be talked about in America openly for the first time, when in 1967 America put its political weight behind Israel in the Middle East conflict, so Schapiro found a new interest beyond the American left, in his own Jewish background and the fate of the Jews. Continuing to refrain from direct involvement in politics, he shadowed establishment policy by encouraging and guiding The Jewish Museum in New York and visiting and lecturing in Israel. But then just as the diamat debate of 1938 answered his wavering over Communism, against the tumultuous background of the Stalin-Trotsky tug-of- war, this eminent American got caught in a struggle over his scholarly neutrality, amid heartwrenching turmoil at the memory of the Shoa. In 1968 America was pursuing a global policy that was pro-Israeli and anti-totalitarian. Anti-totalitarian involved being wary of Moscow, but what mattered more was the revived memory of the horror of the Nazis, and the need to underscore it, in support of Hitler’s six million Jewish victims. Schapiro’s response was to turn Martin Heidegger, a philosopher about whom he knew almost nothing, into a scapegoat. He did it by finding something Nazi in Heidegger’s admiration for van Gogh’s painting. You can find all the relevant texts in A Shoe Story Van Gogh The Philosophers and The West. Though I don’t agree, Derrida, writing about it now almost 40 years ago, accepted the truth of that accusation and found it a painful lapse. 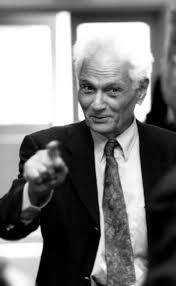 What Derrida, though, did counsel, at a seminar at Columbia in October 1977, when both he and Schapiro were present, was understanding Heidegger’s philosophy in the round. The scholarly Schapiro shouldn’t expect to get away with dipping into a couple of laden paragraphs. Heidegger had tried to get back behind the two-thousand-five-hundred year old metaphysical tradition and release the truth of Being from the shackles of rational concepts. Heidegger was another twentieith-century revolution to understand. The truth of Being, and of everything in Being, beings, and our Being-here was what Heidegger had spelt out in Being and Time (1927). Further, in that 1936 lecture that referred to van Gogh, he showed how his revolution meant rethinking the origin of works of art and what made them art. Derrida, who liked a fight, did his best to humiliate Schapiro, and you can read what he said in his book The Truth in Painting, whose fourth book, ‘Restitutions of the Truth in Pointing’, reenacts the occasion of the seminar. Schapiro I think did feel severely criticised, though he struggled for the rest of his life not to admit defeat. The odd thing was his Colombia colleagues who comprised the audience at that seminar seemed to think he had won the day. The late Richard Kuhns, professor of philosophy, wrote me a wonderfully detailed letter before he died, recounting how it was to be in the audience, and I quote him in A Shoe Story. One of the weaknesses Derrida pointed up was that Schapiro had become, at least to Derrida’s taste, just too much the American policeman to realise that he was pushing art history into an American individualist mould, where, especially in its European forms, and especially in its twentieth-century German incarnations, it was not made to go. I take this point and in my book I am astonished to see the Americanizing impulse still prevailing in the eminent art critic and philosopher of a more recent generation, Arthur Danto. Danto is another distinguished thinker, who, to, my mind, can hardly have got to grips with Heidegger before dismissing him as anathema. Schapiro was too old ever to find his way in either burgeoning Heidegger studies or the dawning age of post-modernism. He was strapped into an optimistic American vision, and to me Danto carries that forward, complete with a built-in dislike of Heidegger. Both Schapiro and Danto seem to have been keen to keep a humanist hold on developments in art. But these days that pushes Danto to think great works should do some of governments’ work for them, providing free entertainment and even spiritual compensation to those whose cultures have been hollowed out by free-market economics. Both Heidegger and Derrida would have been highly critical of that stance, and it’s in this way that I see the controversy over ‘The Shoes’ reaching in to the present day. 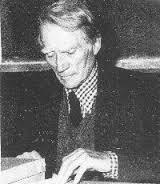 For me, who has spent most of her adult life immersed in European, and especially German, art and philosophy, and also in the politics and history of Soviet Russia, there is even a connection perceivable between Schapiro’s relieved abandoning of any belief in diamat and his dismissal of Heidegger, and that connection may illuminate where radical philosophy has reached today. Both Schapiro moments have to do with the fate of German Idealist philosophy, that is, principally with the fate of Hegel’s Idealism in early twentieth-century Germany. The overall criticism was that it was too much the product of the conceptual thought of the traditional philosopher imposing itself on the real material existence of human beings. Mind in the form of Hegel’s spirit of History, Mind posing as Hegel’s World Spirit, Mind elevated to a metaphysical power, rode roughshod over the truths of a bodied, creaturely human existence, and this insensitivity and cruelty and distortion of the human truth at the hands of philosophy was most noticeable in the way the big ideas of Idealism contrasted with the real lives of the poor. It was through this process, still ongoing in the work of Ricoeur, Agamben and others, that at the first suggestion of Feuerbach, and then taken up by Marx, Hegel’s Idealism was turned on its head, or finally turned the right way up, in Marxism. The bodied lives of the mass of people whom History chivvied along without their possible resistance could now in some sense be recognized and rescued. For someone like me who has worked on Hegel, however, it was always apparent that Marxism didn’t wholely de-idealize Hegel, because it retained History as a supernatural engine. Marxist historical dialectic was still metaphysics. It was only an account of dialectical materialism that said History was working for the proletariat which made the tentative difference, and this directedness of diamat had to be taken as an article of faith. What Schapiro didn’t realise, and what quite a few commentators overlook, was that Heidegger was also out to de-Idealize Hegel, as part of his own campaign to undo the hold of traditional metaphysics on creaturely being. Heidegger didn’t destroy and rebuild philosophy in the name of a deprived global proletariat. But he did link conceptual abstraction with the power of technology and ultimately, when he came half-way to his senses, linked it with the ambitions of Hitler. The aim wholly to subordinate nature, and what was natural in human beings, to the totalitarian-mechanistic vision, was both Nazi and Soviet, and both were despicable. Heidegger’s enemy was what even social democracy in the German and Austrian 1920s called ‘The New Man’, homo sovieticus in his Russian guise, who, in Heidegger’s feeling, was no longer capable of an authentic being-here. So we find Heidegger urging a kind of retaking of our material being, seizing it from the grip of the mechanical. He wanted to give back to the rural peasantry he grew up among a way of life that the 1920s was speedily dispossessing. Similarly Marx had wanted to relieve the workers of the world of some of the misery industrialization forced on them a century before. Heidegger lived of course in a Germany that faced industrialization much later than England, and lived in a rural part of it, hence the time lag. But across that lag he and Marx had in common this worry about real material lives, and their worries did and continue to stimulate radical philosophy. It’s true that that philosophy is mostly ‘on the left’, but it always has to deal with the anomaly that Heidegger was ‘on the right’. As it seems to me philosophy is somewhere else again, in the human truths it is trying to state, after both Marx and Heidegger. If what I’m saying is right, Schapiro stands out in A Shoe Story as the isolated American who doesn’t get it but wades in anyway and leaves his name embroiled in an illustrative side-story, the one I’ve told in my book. I was sorry it turned out that way, because I liked and respected him. In my narrative, though, I wanted to be honest. Schapiro was, and is, the superbly gifted scholar and critic who nevertheless just doesn’t have the information and the understanding and the intuition he needs, because language and country and, ultimately, an American education set him too far apart. Europe meanwhile continues to express its problems and humanitarian hopes through the legacy of these two philosophers Schapiro vaguely encountered. 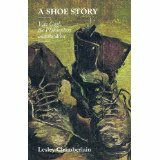 This entry was posted in A Shoe Story, Art History, Current Affairs, New York Intellectuals, Philosophy and Philosophers, Things German and tagged Art and Design, books, Criticism, Derrida, Meyer Schapiro, philosophy, Vincent van Gogh, writing. Bookmark the permalink.